Configuration, installation, maintenance and troubleshooting of the district wide-area network. Configuration, installation, maintenance and troubleshooting of the administrative and instructional servers at all school sites and the district office. Mission critical software including STMath, CompassLearning Odyssey, Reading Plus, Aeries, etc. 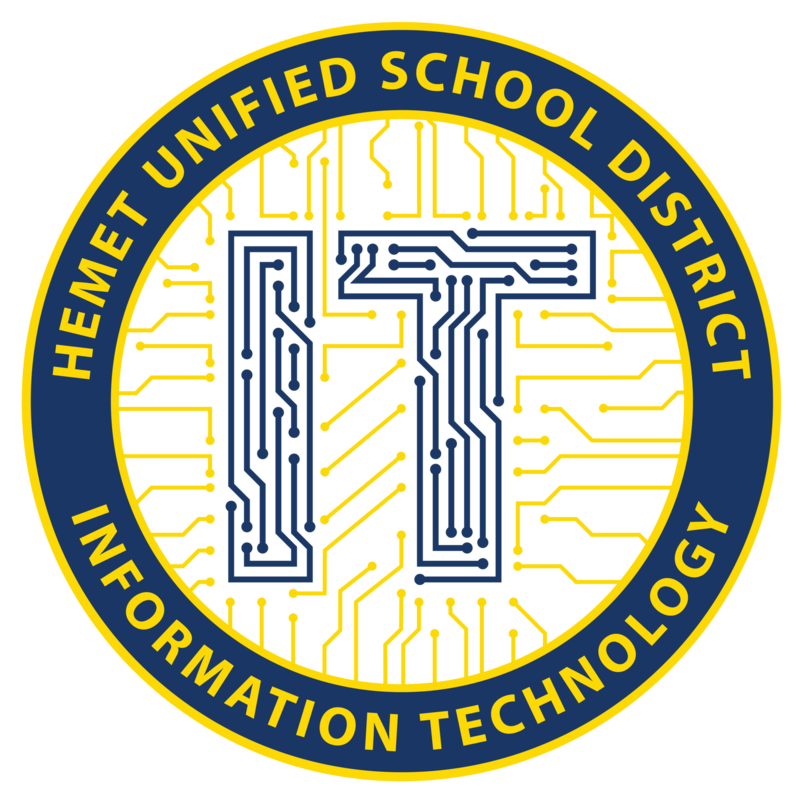 Maintenance and troubleshooting of Windows based PC's, Chromebooks & select Apple devices throughout the District. IT also provides guidelines for technology related purchases. If you have any questions about new technology, please feel free to contact the Help Desk at extenstion 5580. Please visit the Frequently Asked Questions (FAQ's) page, the answer to your question may be at the next click of your mouse.